With Thanksgiving nearly upon us, it’s time for us to give thanks. Did you know that showing gratitude is good for both your mind and body? There is a growing body of research about the power of positive psychology on people’s health, and a big component of positive psychology is gratitude. Robert Emmons and other’s researchers’ work on gratitude show increased health and income and lower blood pressure and stress-related illness. We’ve seen research that as people grow wealthier, they don’t necessarily become happier with the bigger house or new fancy car. However, research shows that those who show gratitude celebrate the good that is going on in their lives. They appreciate the good, no matter the size or impact. It would seem to me that this would lessen the time you have to worry or fret about the past or future. Gratitude blocks negative, toxic emotions. It’s hard to have negative emotions like envy, anger, and resentment when you have positive emotions surrounding gratitude. Emmons suggests that we can’t both feel envy and grateful at the same time, so therefore if you are feeling grateful, there isn’t room for the toxic feelings that block happiness. Gratitude can help reduce stress. Rather than falling into negative emotions, if you show gratitude for whatever is going well in your life, your stress level appears to diminish. Studies have supported this for people in serious health situations. I have noticed that if I go into a meeting and focus on thanking people authentically, I am calmer, more content, and less stressed. This is anecdotal but seems to support Emmon’s research. Showing gratitude to others tends to make you feel that you yourself will be recognized by others. My view is that its’ similar to power – if you share power, your power will grow. If you show gratitude, your feelings about yourself will grow. 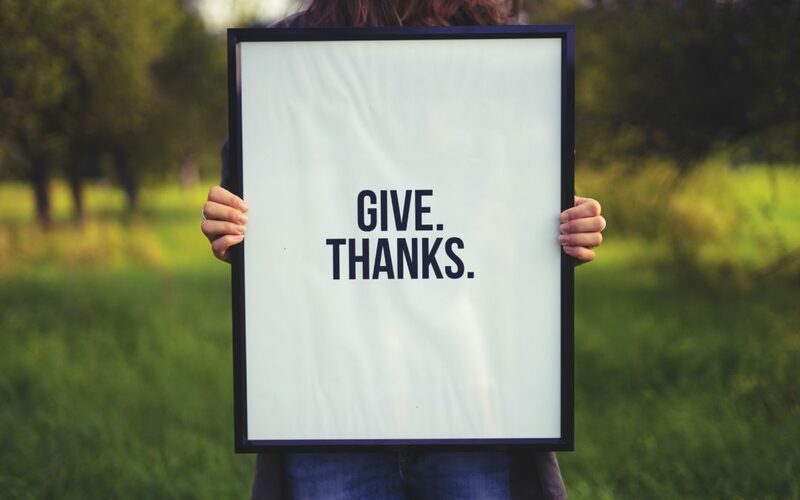 It’s not always easy to be grateful, but certainly, during the holidays it would be great to try to build your gratitude and reap the benefits for yourself and others. Aspyre Wealth Partners helps clients Master What’s Next® – whatever phase of life they are in, leveraging both their human and financial capital. For more information, visit our website at www.AspyreWealth.com or contact Joni Lindquist – jlindquist@AspyreWealth.com, (913) 345-1881.